Maisha - There Is a Place. Vinyl LP, CD. Bleep. 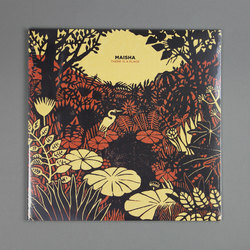 Maisha are yet another fresh group to emerge from London’s fertile jazz scene. The band numbers Nubya Garcia and Jake Long among its members, meaning that they bring some clout to their debut LP, There Is A Place. These tracks combine elements of post-bop, Afrobeat, spiritual jazz and astral jazz in a manner similar to contemporaries like Onyx Collective and Nubiyan Twist. The playing is accomplished, energetic and full of nuance. Like so many of the best UK jazz records to be released in recent times this one is out via Brownswood.